Authorities have confirmed that a teenage suspect exchanged gunfire with responding police officers outside an eastern Indiana middle school on Thursday morning until the shocking thing happened. The teen suspect decided to ran inside the campus, and once back there shot and killed himself. 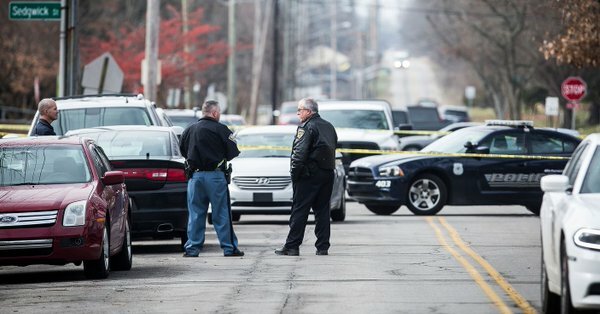 School officials and then the police were first alerted that an armed person was heading to the Dennis Intermediate School in Richmond which is near the Indiana-Ohio state line around 60 miles east of Indianapolis. The initial report received by the authorities and school official is that the armed person has an intent to harm other people. The shooting then took place at around 8:20 a.m. The teen suspect and the officers then exchanged gunfire, before the boy decided to retreat inside the campus. It is not yet clear whether the boy was wounded from the exchange of gunfire with the responding officers. Indiana State Police Sgt. John Bowling said that no one else was hurt by the incident, either from the side of the responding officers or with the students and school officials and staff. Bowling also shared that the police are still conducting an investigation related to the incident, from the school to another site in the city. State police will be in charge of the probe. Bowling also gave due credit to the quick response of the local police and school staff for preventing possible wider tragedy from taking place. The identity of the suspect was not released by the authorities because he was a juvenile. His actual age has also yet to be determined, along with information whether he’s a student from the school or not. The identity of the tipster who informed school officials and the police of the impending trouble was also not released. The authorities have also yet to establish the teen’s motive for bringing a gun to school and threatening to create trouble for others. The students were moved to Richmond High School where their parents picked them up.